Lewis Bus Group sells and services buses. They are a tight knit company and treat all of their customers like family. To them, safely and successfully moving people requires more than just a vehicle. It requires a match of your needs and circumstances with the perfect bus. Lewis Bus Group shares and supports the responsibility of maintaining your fleet’s safety and dependability. They have a combined 185 years of experience in support and sales. Their mission is to make sure you get there and back safely every time. To accomplish this they offer and maintain a large variety of buses that are all made in the United States. To support their mission of providing excellent service Lewis Bus Group needed a way to provide excellent company communication. 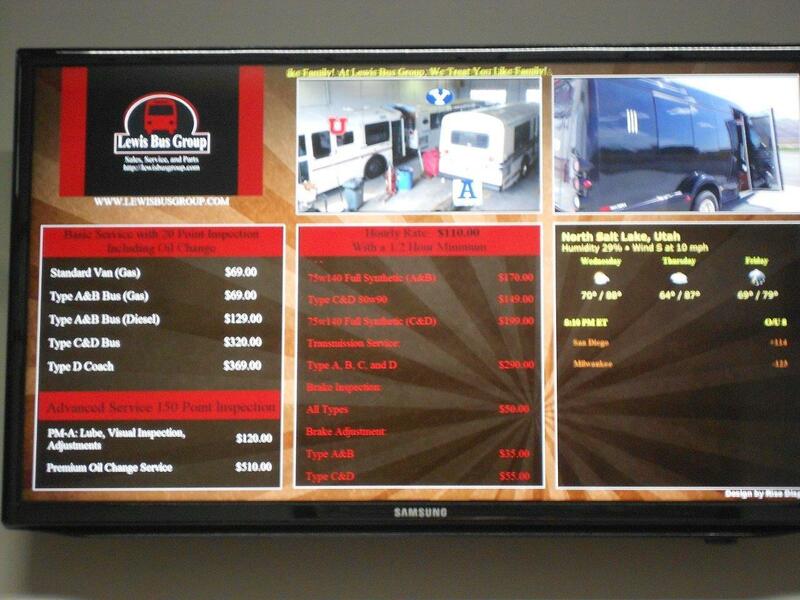 They use digital signage to communicate pricing, available products, their company’s values, and more. 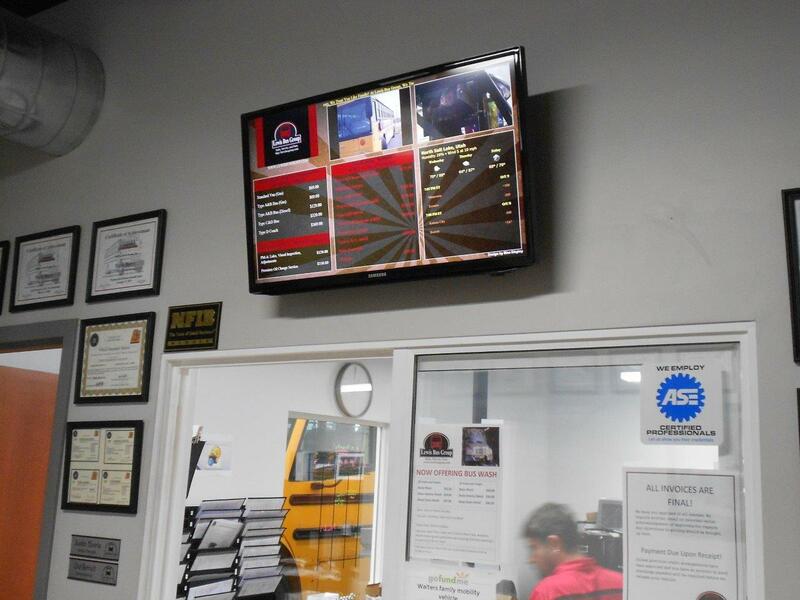 To power the digital signage they needed an affordable and reliable signage system that had the all necessary features. This ultimately led them to Rise Vision. Rise Vision allows Lewis Bus Group to easily communicate their message. 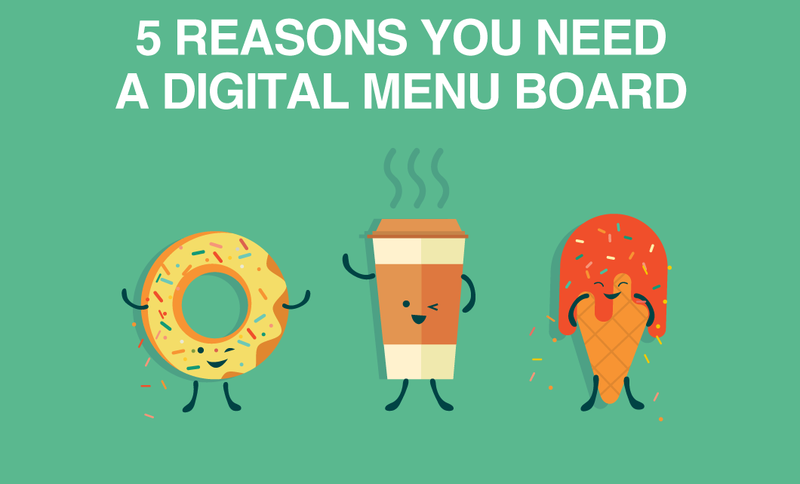 It also keeps digital signage costs down, and can be used on a variety of hardware. Lewis Bus Group uses a Windows media player, a Raspberry Pi, and a Laptop to power their various displays. They show a variety of content. The service menu has pricing for services on it along with a slideshow of products, videos of their vendor’s factory, videos of their products in action, weather, and some sports scores. In the customer lounge, they use a Raspberry Pi to show a number of slideshows. 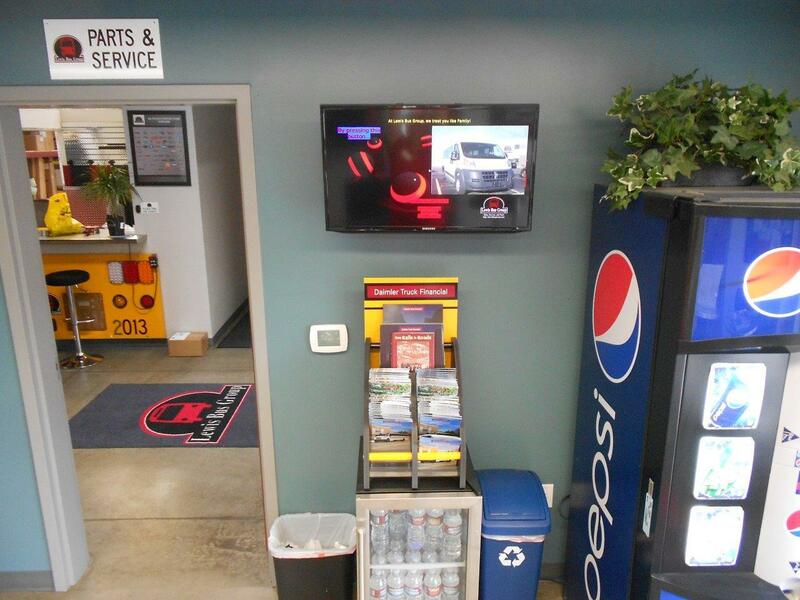 The slideshows inform customers of available amenities in their break room, and how to use Lewis Bus Group’s complimentary Netflix service while they wait for their bus’s work to be completed. 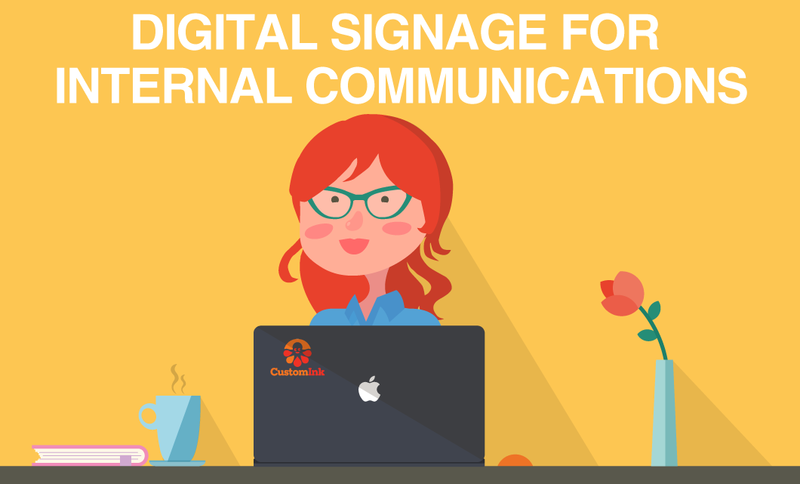 To make sure their company’s values and brand is communicated clearly to all of their customers they also include their logo and slogan on every display. Lewis Bus Group also uses Rise Vision to spread their message at trade shows. The trade shows presentation is tailored to each event. There is typically a slideshow of their products, some scrolling text relevant to the trade show, and their company’s slogan and logo. By using Rise Vision Lewis Bus Group is able to effectively improve their company communication, their core values and k customers informed and entertained while waiting. On top of that, it's a great way to attract new potential customers at trade shows. Best of all, they can use almost any hardware, it’s very low cost, and has all the necessary features they need. 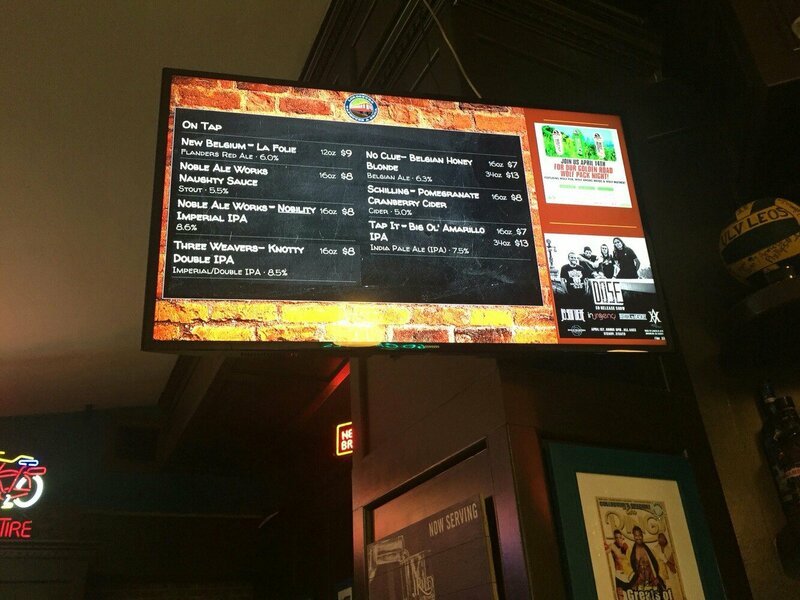 Want to see how more businesses use digital signage? 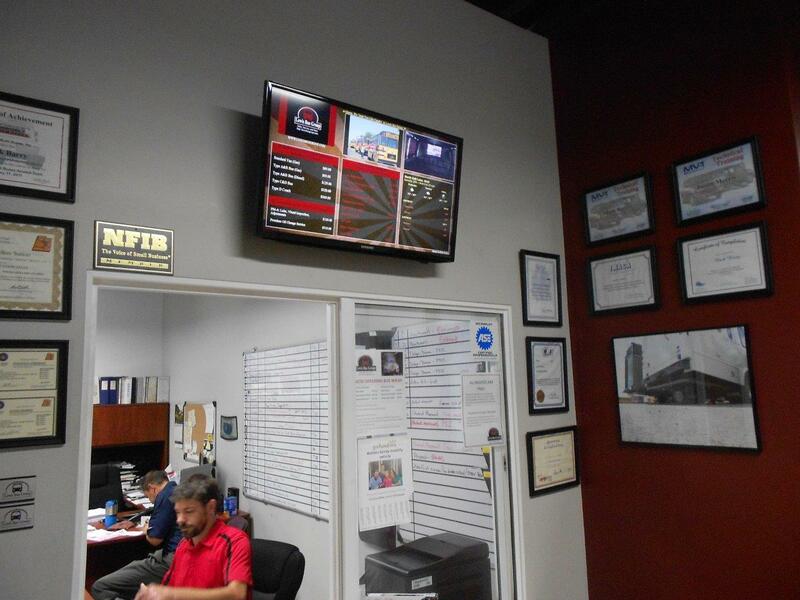 Check out our Business Customers page with past clients, use cases, and the benefits of digital signage for both corporate and small businesses!